I love this quote. It speaks directly to so many issues that people have engaging each other professionally and personally. Each day we use our words hopefully with great intentions and results. When communication fails, there is simply a lack of good listening going on between coworkers. Active listening is a simple, brilliant technique that minimizes communication failures and maximizes connection. It takes just moments to learn, and you can practice it every time you have a conversation. Attending: People can feel our energy even before we speak. Set your body language up for a positive exchange. Start by facing your partner squarely. Adopt an open posture. People can immediately feel if you are engaged or disengaged. Listen to connect, not to judge. It’s a fact that our brain’s connectors turn towards each other when they are happy with the conversation; conversely, these neutrons turn away from each other when something is said that offends or upsets us. Maintain eye contact. Don’t stare, glare or glaze over. When you are engaged in listening, it shows in your eyes. Looking away is not showing respect for what someone has to say. Be attentive: Often we are so occupied with our own internal conversations that we only pretend to listen. Grant other participants’ ideas respect. You never know what will inspire you. Or teach you something. Pay attention to what’s behind the words. According to Dr. Albert Mehrabian’s work, 55% of how people communicate is in their body language. Learn to be quiet. You can rearrange the letters of the word “LISTEN” it will spell “SILENT”. If you’ve ever been scuba diving, you know that beneath the ocean is a world of life and color. When you are silent, you will be more perceptive about what is really being said. Summarize periodically. Paraphrase back what you think you heard. Ask clarifying questions. Probe for clarity, it will help fill in the gaps, while letting the other person know that you are wanting to hear their point of view. By becoming an active listener, you will be perceived as an exceptional communicator. 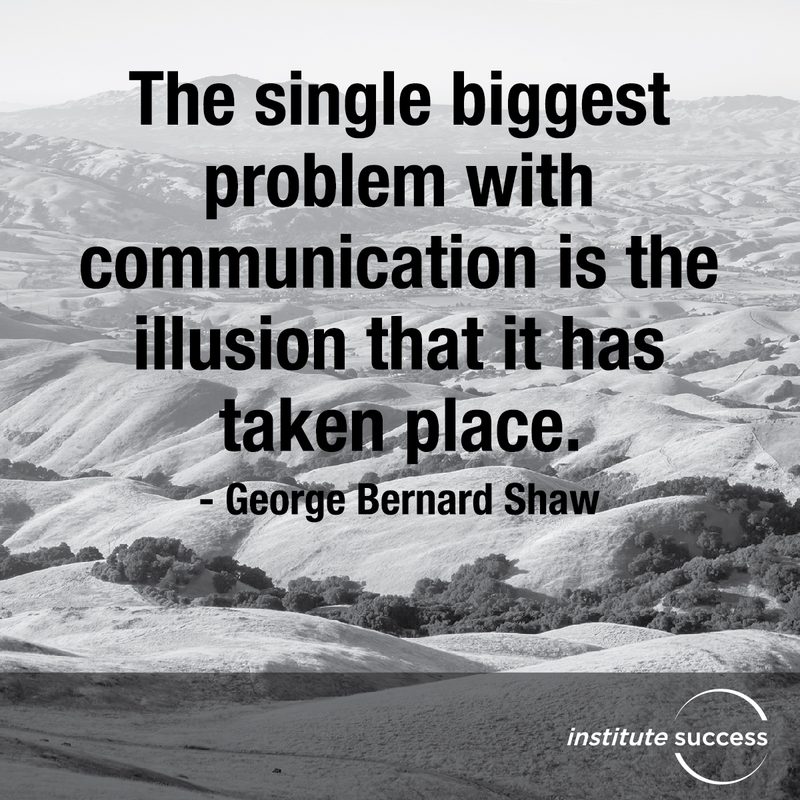 7 Communication killers: Are you guilty?